Property 12: Maple Hideaway:"Lots of Privacy!" Property 13: Shar n' Shack - Cozy Hilltop Cabin in the Woods Right on the Keuka Lake Wine Trail! 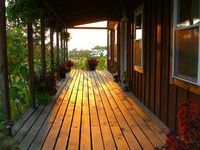 Property 15: Seneca Secrets - "Watkins" Cabin - Tranquil Getaway on 10 acres, with Beach! Property 17: Dew Point - Sweet little budget-friendly vintage cottage - secluded location! Property 18: Grey's Getaway Cabin, Finger Lake region Fall foliage getaway, wineries near by! Property 22: Shorewood Have Fun is a NEW WANETA LAKE RENTAL, AVAILABLE SUMMER 2018!! Property 23: Secluded Cabin On 20 Acres & 2 Ponds Close To Wineries & Waterfalls. Property 30: Romantic getaway or family vacation on 10 acres with beach! 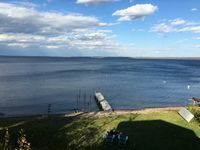 Property 31: SLEEP Next to a WATERFALL on SENECA LAKEFRONT Pet friendly AVAILABLE NOW ! Property 35: Grey's Getaway Cabin# 3 Finger lakes area, pet friendly, winter wonder land,!